The rain seemed to begin as soon as I started out on the expressway. I had an hour and a half before I saw signs of Jupiter so I busied myself with thoughts of the loose ends I needed to tie up from our production of the Lion King Kids. After directing 187 cast and crew all under the age of 12 at the Broward Center, I couldn’t just put it down to dive into a workshop. Which was a shame because I had been looking forward to this workshop for 2 weeks. The tools they gave us. But that’s the nature of creative work. We’re never cleanly complete with one project before we’re picking up another. We’re applying for grants or approaching partners for a work in development while monitoring our audience’s reaction to a current production. Or we’re handling distribution of a finished piece while following up on a lead from a current collaboration. It’s like being in a forest where the canopy of one tree blends into another, and you can’t tell where one ends and the other begins. That may look beautiful, but that’s why it’s easy to get lost. 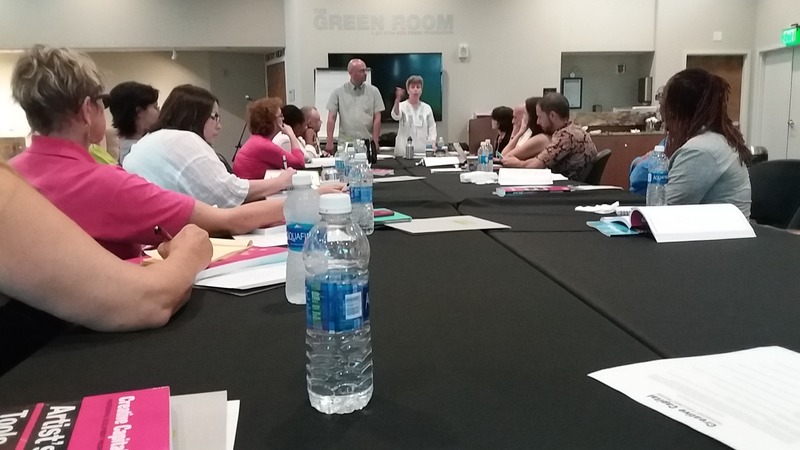 The Florida Division of Cultural Affairs understands the dilemma in the beautiful jungle of an artist’s career. 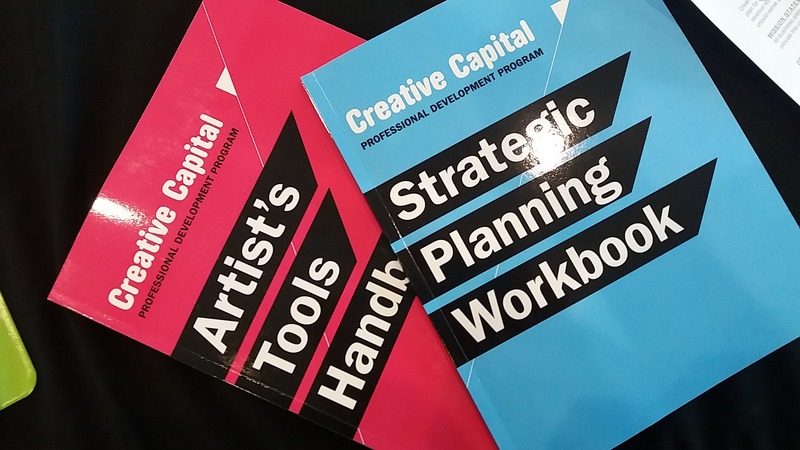 They boast a 10-year partnership with internationally recognized arts agency Creative Capital (their longest running partnership with a state agency). This partnership tended to by Morgan Lewis, Ginny Grimsley and Curtis Young creates a clearing so that artists dedicated to their cultural business can learn how to thrive. Claire tells us more about the Maltz Jupiter Theatre. 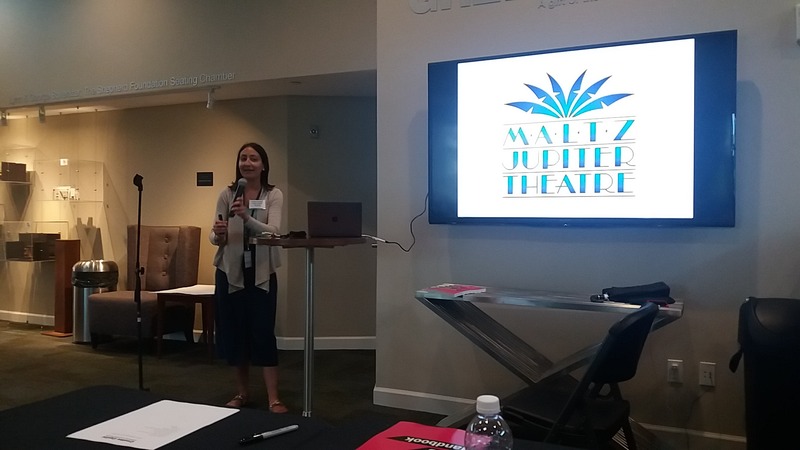 I was selected to attend Creative Capital’s Core Skills workshop at the beautiful Maltz Jupiter Theatre, hosted by Claire Trehan, partly sponsored by Citizens for Florida Arts. Here are 5 things I came away with. Colleen Keegan, leader of the Strategic Planning team and treasure trove of practical information, blasted through the myths right at the beginning. My practice had been hard – from budgeting to collaborations. I felt why artists starve, not just lacking food, but lacking joy, rest, time and companionship. We’re addictive to the creative struggle. We call it “paying our dues” and it does more damage to the perception of the creative career than anything else. It’s like we’ve believed that hard sacrifice proves our creative work is valuable. But that isn’t sustainable. It also saps our energy for the blue-sky thinking that we need for strategic planning– which must be in place for any business to thrive. Aaron Landsman, playwright and director, says he stumbled onto this genius while in a planning session. Creative people have a knack for creating a stellar experience out of glue and construction paper. Our school had done that VERY thing while making costumes for our production. But what if I could be flush with help and resources, and therefore, I didn’t have to concentrate my energy on tasks that weren’t my strength? Which would mean I didn’t need to be wrist-deep in glue paste, and I could concentrate on getting the best performance out of my acting students. Jackie and Cesar address the group. from both sides of the table. While promoting my work, negotiating a contract, or developing a partnership, approach the work with others knowing that I bring a lot to the table and so does the other party. Communicating with respect raises the bar for all concerned. Hasan Elahi, director of witty repartee (who is also interested in surveillance), dug deeply into the reasons why artists don’t get the help that they need. It has nothing to do with lack of money. When you are unclear about your vision, your value, and the ideal practices for your work, you waste time and energy. He drilled down into key systems to establish to keep things clear. Do you feel that? That’s the weight of guilt lifting off your shoulders. Whatever self-sabotaging you did in the past as an artist, you did with the knowledge you had. Now, it’s time to move into the light. I was unbothered by the rain. The depth of the advice and the tools given were overwhelming in a good way. The Maltz Jupiter Youth Touring Company, led by Julie Rowe and Brian Andrews, treated us to a Broadway medley. What if, while the rest of the world experiences rain, I have my own private sun? If I let it in, I can bring it to others. That’s one of the best takeaways from a Creative Capital workshop. They continue to reiterate that, standing on our value, negotiating with self-care in mind not only serves us, but opens the door for those after us. I felt like I was standing in a dark room, and I had the chance to pull back the curtains. This new mindset doesn’t just feel like the afterglow of a motivational speech. Being in the presence of artists just like me who are successful makes it real. They walked this road ahead of us, and were conscious enough to share their spirit. I am grateful for the five artists who journeyed to be with us. 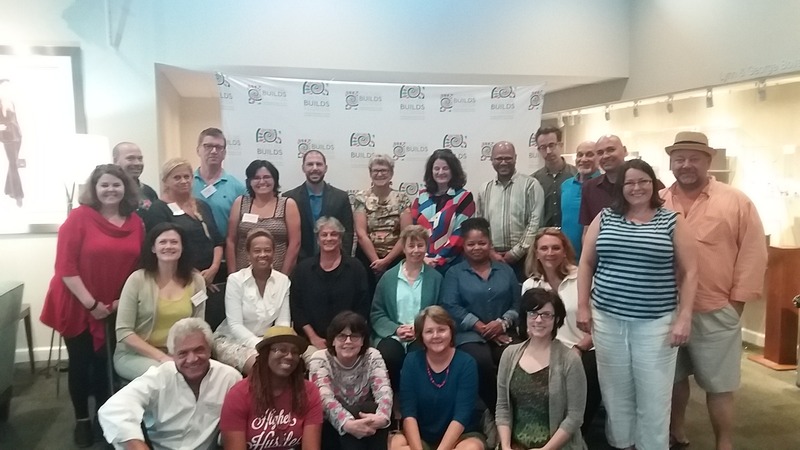 Thanks to Creative Capital, Citizens for Florida Arts, and the Florida Division of Cultural Affairs. Next: Next post: 31 Days of YES! Great job on summing up a mind blowing, life changing weekend. I am so thankful to have been there with you and all the other creatives. I do hope to attend more in the future but boy do we have a lot to digest. Hope things are going well with all that you are working on!